This ambitious reference surveys worldwide efforts at controlling the spread of tuberculosis, with special emphasis on the developing world. Case studies from China, Pakistan, Nigeria, Indonesia, and other frontline countries demonstrate a wealth of information on clinical, cultural, socioeconomic, and other relevant factors. This compilation provides a valuable resource for creating successful intervention and prevention strategies. State-of-the-science snapshots pinpoint where short- and long-term initiatives stand today, from early detection and vaccination programs to new genetic technologies and drug therapies. This diverse group of perspectives and approaches offers innovative paths toward control and realistic odds for containing the threat, especially in the face of current co-epidemics and new drug-resistant strains. 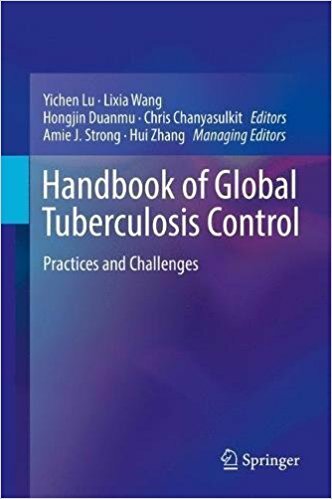 The Handbook of Global Tuberculosis Control is urgent reading for leadership and staff of non-governmental organizations, government agencies, academic institutions, research centers, hospitals, and potentially businesses with interests in tuberculosis control. Additionally, the book's focus on TB in developing countries will attract a wider audience of practitioners, particularly those working in the broader fields of global public health, epidemiology, international development, and the socioeconomics of infectious diseases.